Life cycle of a Harlequin butterfly. Image courtesy of Wikimedia Commons. With school being out for just a tad longer, kids are looking for something to do around the house. Here’s a simple activity that requires little to no supplies that anyone can do. We’re going to act out all the stages a butterfly goes through as it grows! Butterflies don’t grow up like people do. Humans go through some changes as we get older, like getting taller. Can you still wear the clothes you wore when you were a little baby? Hopefully not! But baby butterflies (a.k.a. caterpillars) go through LOTS of changes. They completely transform their bodies as they get older, growing wings and legs and body segments! 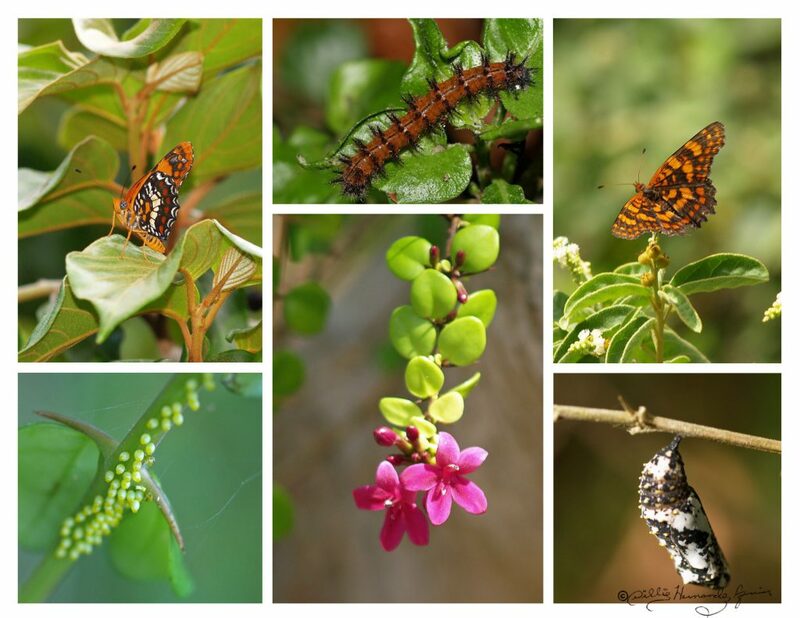 This process of transformation is called metamorphosis, and all insects go through it. But how do they do this? To help us understand how this process works, let’s play a little game. Let’s pretend to be caterpillars and transform ourselves into butterflies! 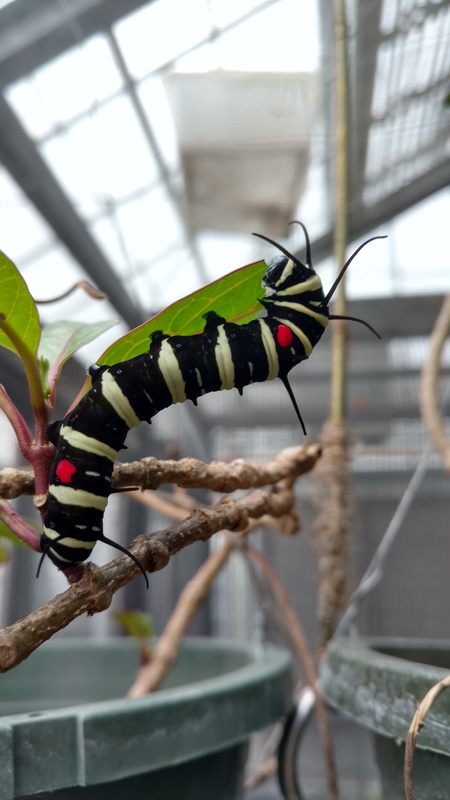 Butterflies start their lives as eggs! First, curl up into a ball and pretend to be the egg. Next, they hatch as caterpillars. Stretch out and pretend to be a caterpillar! While they’re caterpillars they eat A LOT. Pretend to find leaves to munch munch munch down. 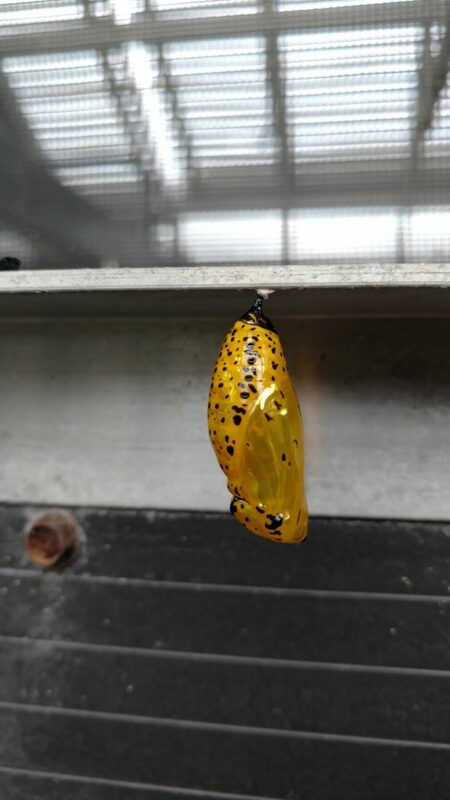 After they’ve filled their bellies, it is time to form their chrysalis. Pretend to find a nice branch to hang from and form your chrysalis! Once you’ve had a nice long sleep and complete your metamorphosis, hatch out of your chrysalis and stretchhh your wings! Now fly fly fly and look for some flowers with yummy nectar to drink! Next, we’ll sing a song! Congrats! 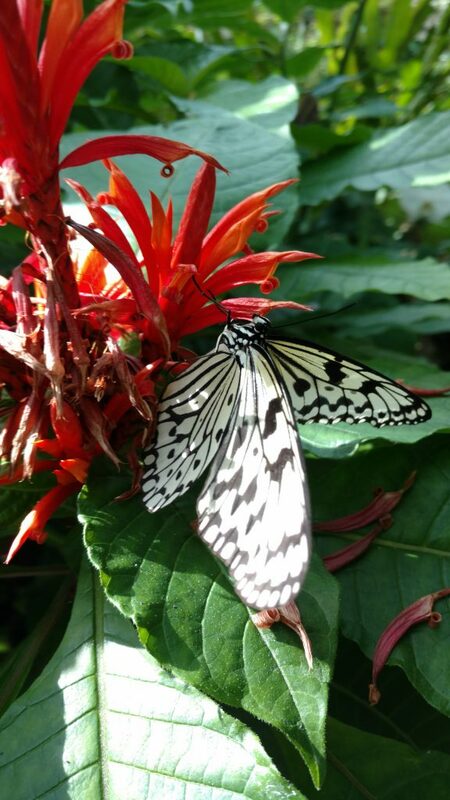 You’ve made it through the first round of the Butterfly Life Cycle Game! Next, with your siblings, parents, or friends, act out a part of the life-cycle and see if they can guess which one you are! Previous Post Body Balance Physics! Next Post In The Dark About How Bats Hunt At Night? Our Fun Echolocation Game Will Help You Figure It Out!